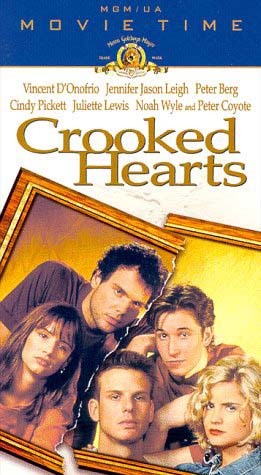 (1991) Crooked Hearts is an insightful look at one family's struggle to come to terms with each other as they start to grow apart. Edward and Jill Warren have always done what they thought was best for their four children. But their good intentions eventually strangle the children emotionally, making it virtually impossible for them to break the ties and grow up. Their oldest son Charlie still lives at home. He's deeply troubled and prone to sudden temper outbursts. He has a difficult relationship with his father, but he refuses to leave home. Another son, Tom, drops out of college just short of graduation and moves back home. Their youngest son Ask is idealistic and has developed a list of rules for living. Their only daughter Cassie has an overwhelming urge to fall asleep at the first hint of any emotional turmoil. Each of the family members seem troubled in some way. Unfortunately, a family secret surfaces and results in tragedy, but this event will ultimately force them to face each other - and life - with a newfound independence and maturity. "At first glimpse, the Warrens appears to have the kind of heartland heartiness that practically defines what it means to be All-American. Tom (Berg) has the square-jawed handsomeness of a small-town quarterback. Charley (D'Onofrio), the womanizing big brother of the family, has a homey, dilapidated ranginess. Ask, the kid brother (Wyle) is like the family mascot - he's the 'sensitive' one. Cassie (Lewis), is a sleepy-headed teenager who casts a disbelieving eye on her siblings while still relishing her role in the menagerie. The father, Peter Coyote's Edward, has a gangly affability, like a more homespun Ward Cleaver; his wife (Cindy Pickett) would not look out of place as the matriarch in Lassie... In her early scenes, Leigh has an edgy volatility that's convincingly scary. Her scruffiness is a form of armor. 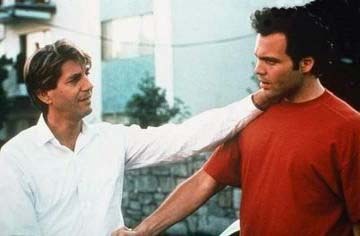 Bortman has a rather flat-footed visual sense, but he knows actors, and that results in some of the film finest moments." 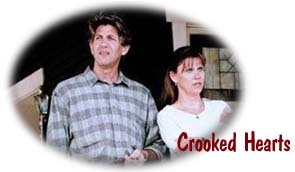 "The family is beautifully acted by Peter Coyote and Cindy Pickett as the parents and Berg, Wyle, Lewis and D'Onofrio as their children... D'Onofrio broods and flares effectively as the eldest sibling. Coyote deftly plays the well-meaning father." "Cinematographer Tak Fujimoto's brilliance is mostly restrained... But he does manage one dazzling sequence where he creates poetic imagery in the burning of those symbolic letters. Mark Isham's low-key, bluesy score is effective." "Engaging, multileveled domestic drama showing how husband/father Coyote's indiscretion affects the various members of his family. A thoughtful, well-acted sleeper." "The film certainly has its moments. My favorite: Marriet suggesting to Tom that they draw up a dating contract. 'It's just something where we agree to be nice to each other,' she says." The film was shot in Vancouver, B.C. to stand in for Tacoma, Washington. Peter Berg played Dr. Billy Kronk on Chicago Hope , Noah Wyle played Dr. John Carter on ER and Cindy Pickett used to play Dr. Carol Novino in St. Elsewhere . Cindy Pickett has made two other films with Coyote - Echoes in the Darkness (1987) and Breach of Contract (1982). 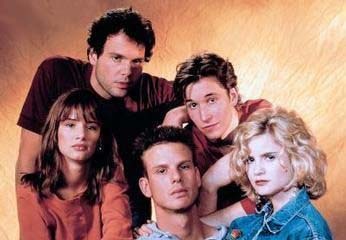 Mark Isham also did the music for another Coyote film - Keepers of the City.